Important news from Franklin, the great state of WI, and beyond. So Kev, how’d you do on that New Year’s resolution? Today’s highly interesting read (02/04/09): Should he resign? Douglas E. Schoen is a Fox News contributor. He has more than 30 years experience as a pollster and political consultant. Schoen, like many others, thinks embattled Virginia Gov. Ralph Northam (above) should step down. All these Democrats deserve credit for not circling the wagons around Northam and defending him just because they are members of the same political party. They are standing up for what is right and just against the evil of racism. Some things are more important than party loyalty. But as horrible as the photo of the man in blackface and the person wearing the KKK garb on Northam’s yearbook page was, even worse was his position on the issue of infanticide – the killing of newborn babies. 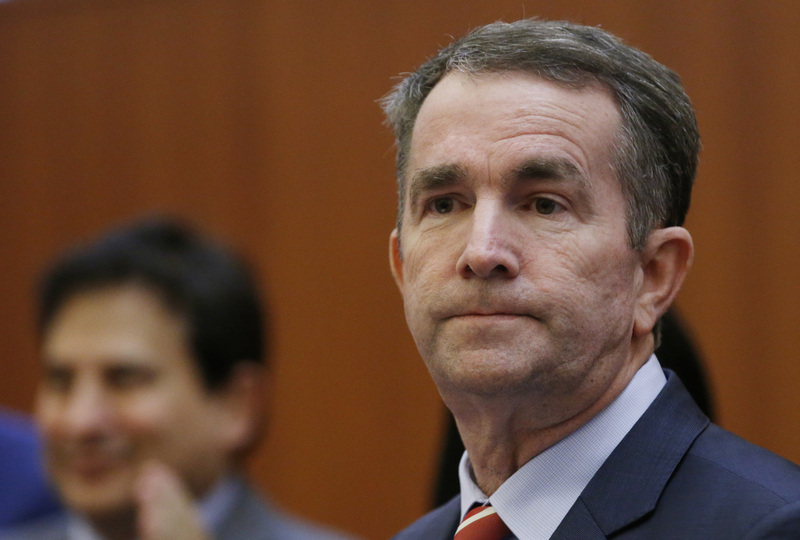 Even if the issue of the racist photo on Northam’s yearbook page had not arisen, his views on infanticide are so beyond the pale that they undermine his ability to serve in elective office. But a former Virginia Congressman says no. Forced resignation, though, is the political equivalent of the death penalty. Do the facts we know truly merit this penalty? My view: He needs to go. Goodnight everyone, and have a weekend of great joy!